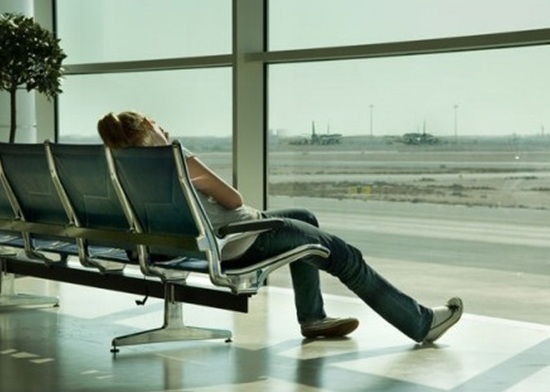 Ever been stuck at the airport for what seems like an interminable wait? ‘Why does the blooming airplane seem to have a list of mechanical problems longer than your 98 year old grandfather?’ and ‘why do the stewardesses sound so gosh-darned jolly when they announce the fourth delay for the flight?’ may just be a couple of the questions you ask yourself as you get comfortable in the waiting lounge. It is pretty much a guarantee that we have all been in that position before, in fact. Naturally, the question arises of how to pass the time. The romance novel tucked away in your bag just isn’t doing it for you anymore; you’re this close to donating it to goodwill. And reading the newspaper, that got pretty redundant after the seventh time through. What’s a guy or gal to do who is stuck in this position to do? Since mobile smart phones and tablets are seemingly ubiquitous these days, how about busting out a game or two? Yes, it is easier than bringing along a full set of Monopoly and expecting other waiting passengers to join in. Besides, that particular board game (and lots of others, as well) can seem interminable; your delay hopefully is not that long. So without further ado, here are a few suggestions for some games to play while you pass the time. Bingo sites like cheers bingo are gaining more and more exposure. Their popularity can be attributed in part to the simplicity and fun of the game, plus the familiarity of the rules of this and other casino games. When you factor in the fun of the element of gambling against your friends and other strangers, it is no wonder why online bingo and casino games are on the rise. Available for all mobile platforms, even Windows funs, these games are super accessible and great to dive into during a long delay. (Protip: if you happen to be stuck at one of the few airports without WiFi these days, a game of travel bingo (using a homemade board with squares substitute typical airport sights and sounds in place of numbers) with a neighbour might be your solution). Here’s another travel tip to pass time: find a deep and engaging game that you will want to come back to again and again like Minecraft. Renowned for allowing players to literally build worlds with lego-like blocks, this indie hit has captured the hearts and minds of kids and adults alike. The pocket edition puts the touch screen controls on your mobile device to good use, as everything is as intuitive as you would expect. Now on mobile devices is the classic word game that has caused you to fight about terms you swear are real, legitimate signifiers you could find in a dictionary, if only you had that kind of information nearby. Unlike Scrabble, however, cheating is nigh impossible because there is a fixed dictionary you cannot fool quite as easily as your gullible friends. This is a fun one for both iOS and Android devices.